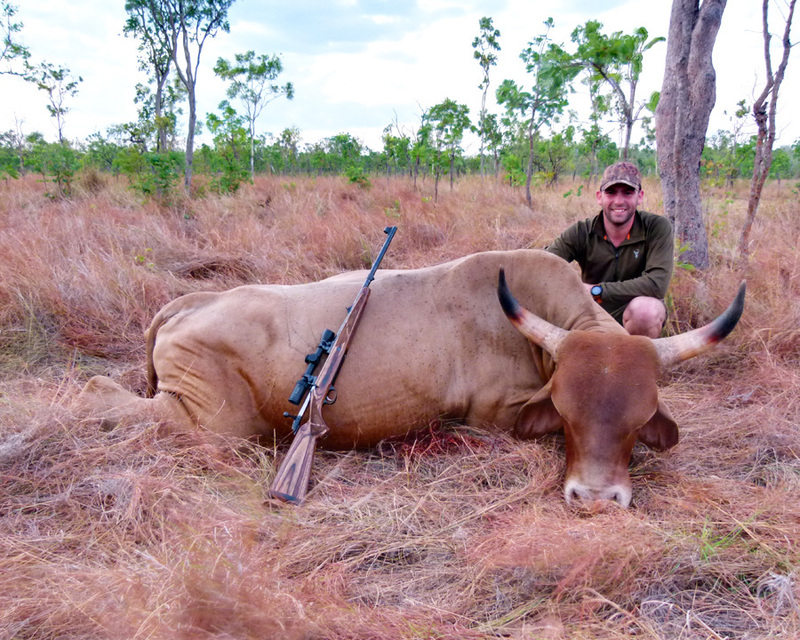 Late last year I was lucky enough to spend 8 days in Australia’s top end chasing buffalo, scrub bull, boars and Chital Deer with a good mate Nathan. 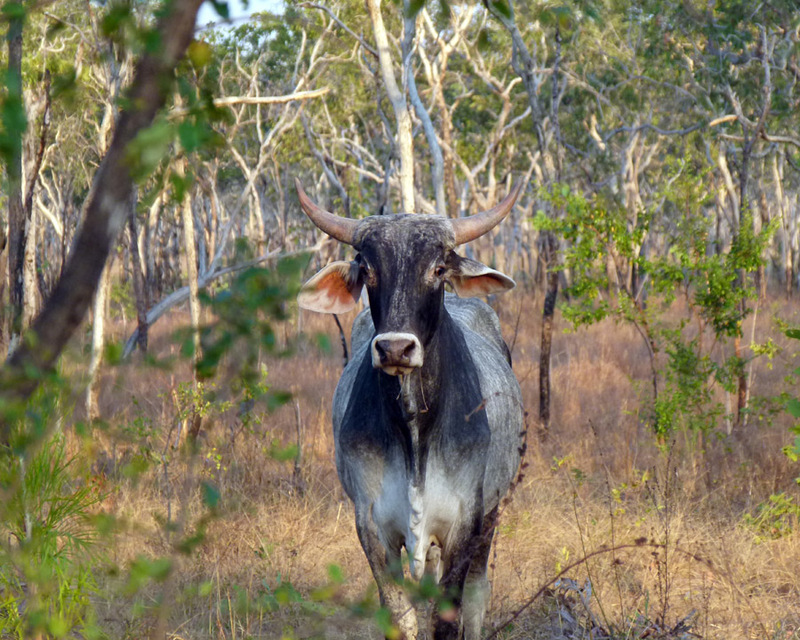 He use to live up the top end working as a stockman. For the hunt I took the whole Prime Summer base layer range. I found this to be a perfect fit for this style of hunt. 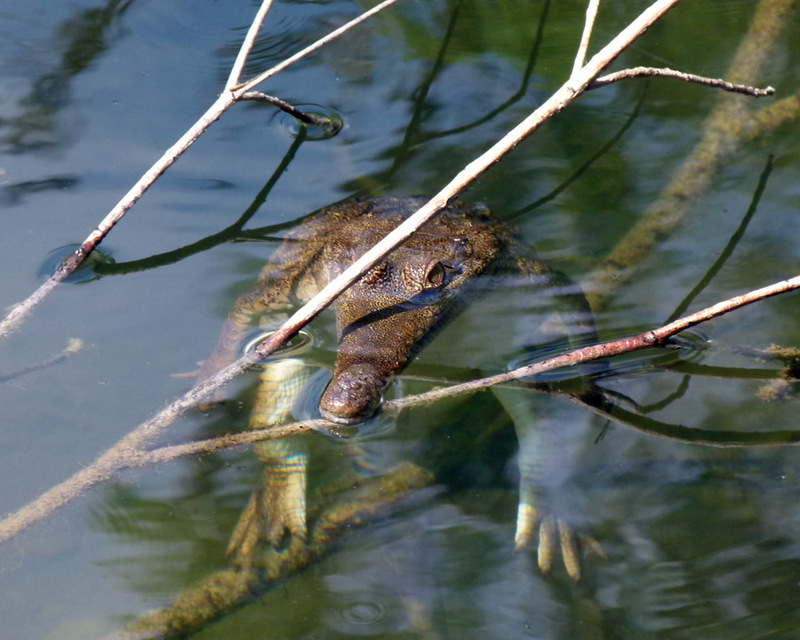 The day time temperatures ranged from 35-42 degrees Celsius. A long sleeve shirt was a must when stalking in un-shaded areas. The half length shirt zip and hidden ventilation zip in the pants were a god sent for the hot stalks. They are allowed me to quickly cool off when resting in the shade during water breaks. The colour and breakup of the gear worked great and we were rarely getting picked due to sight. 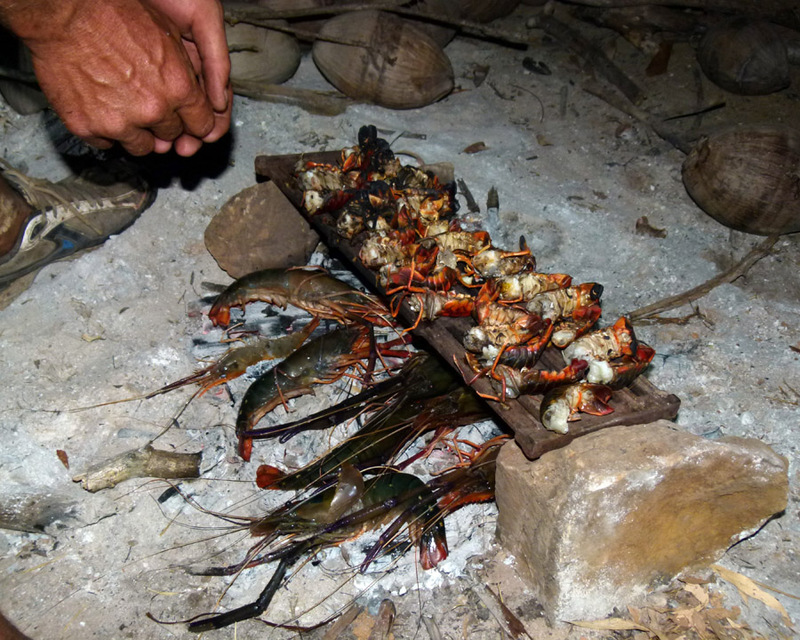 After long sweaty days hunting the shirts, pants and shots were wearing very well with very little smell at the end. 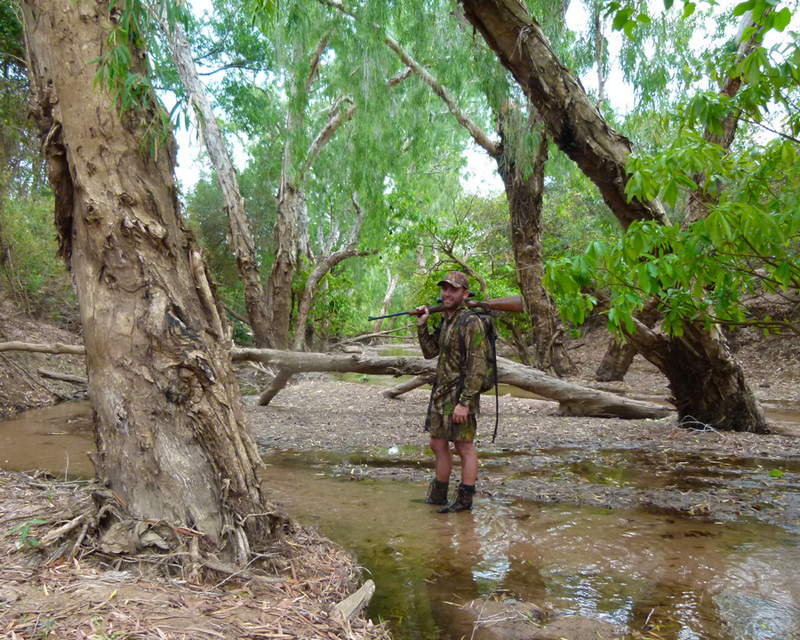 The clothing only received a few quick washes in the river to get the dust and sweat off. 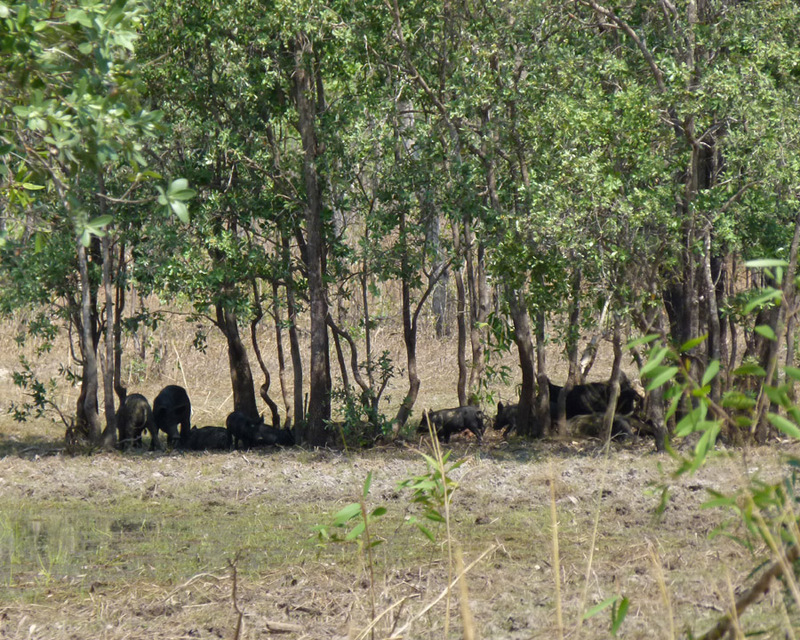 The prime layer dries very quickly so after a quick wash and 15 mins in the sun we were ready for the next hunt. I never once felt over heated in the gear and I believe this was due to how well it breathed and wicked away sweat. I had been very keen to try this style of hunting garment out. For many years I had used this technology when playing international softball. Anything that makes you feel more comfortable, doing what you do, is well worth the investment. This range of clothing certainly made for a more enjoyable hunt. 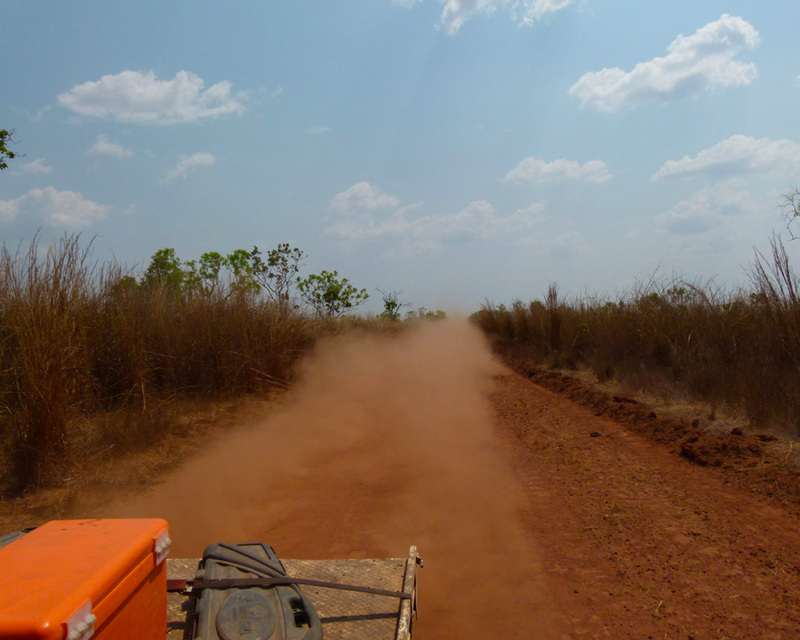 The Northern Territory hunt that we do every year really is hard on gear as the fine red dust, burs and weeds grabbing at your gear continually test whatever you are wearing. The Hunters Element gear stood up well in this environment with zero failures. At the end of the week there were no holes or threading and after a proper wash it looked like brand new again. 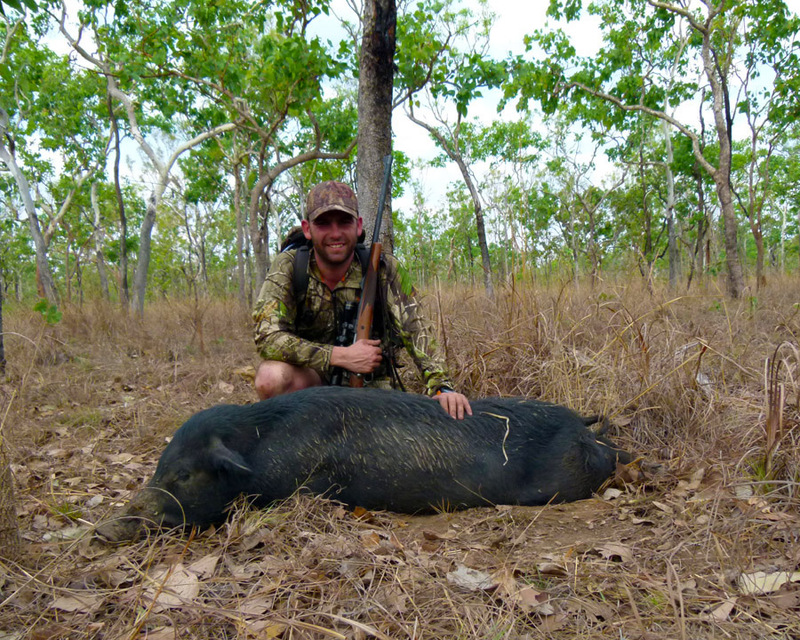 The hunt was a very successful one with 2 buffalo taken, some quality scrub bulls, 2 nice chital stags and many pigs along the way. 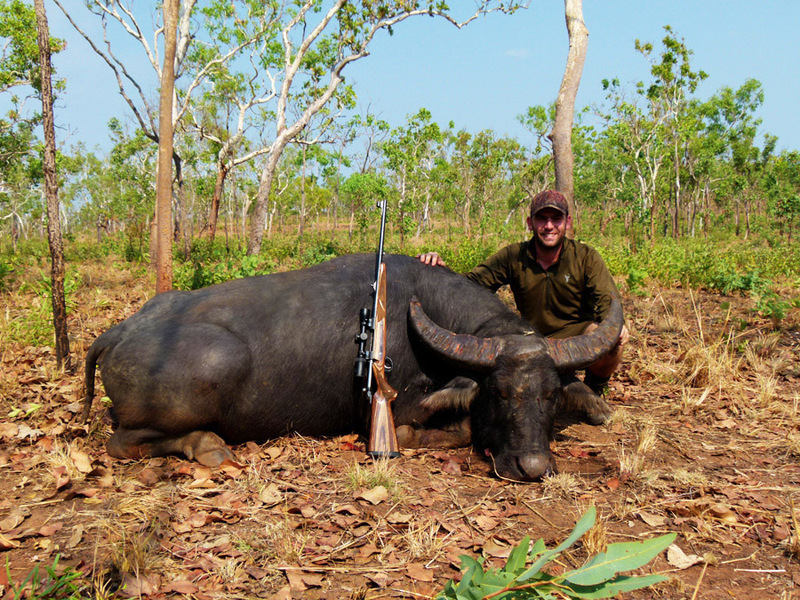 The hunting of the top end of Australia is action packed with vast areas of untouched land and game rich rivers and creeks. This hunt is a welcomed change each year after many months of cold climate hilly deer hunting. The tuff scrub bulls in particular this year were exceptional with some high quality close quarter hunts enjoyed in the tight creek country. 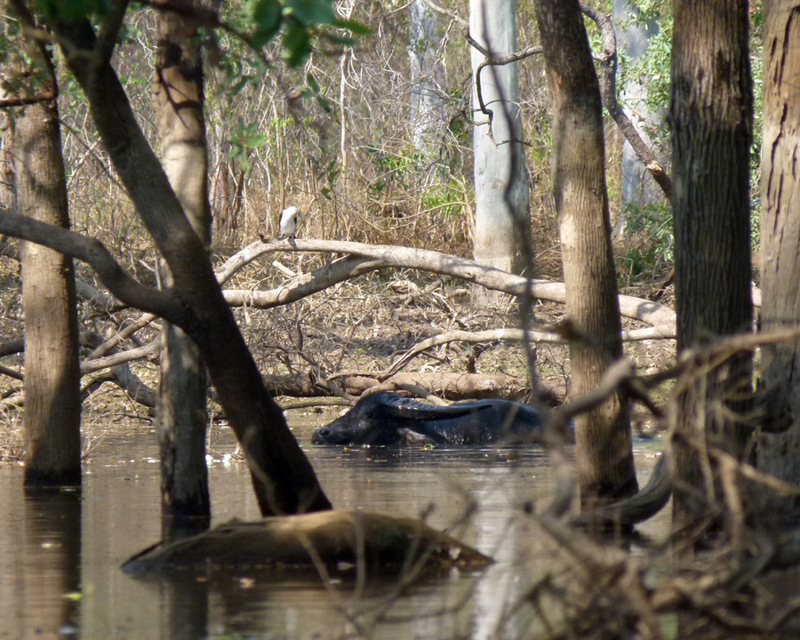 There was still plenty of water around in the creeks so we passed many a toothy crocodile in search of our game. After some long days walking we both managed to connect on buffalo, mine being an old broomed bull and Nathans being a perfect 100 plus SCI big bull which had everything you could ask for in a quality animal. 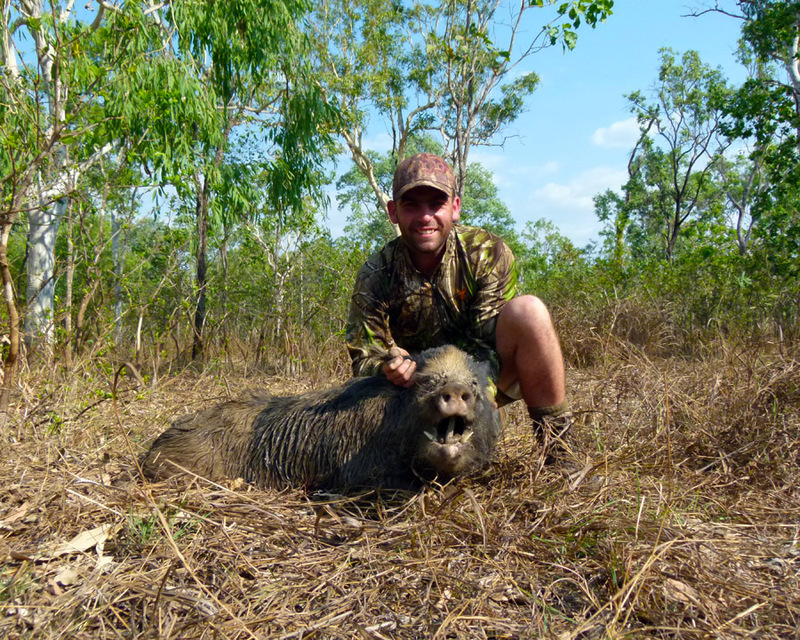 The hunting is just one part of a top end trip with the scenery, people and game food something that truly has to be experienced and enjoyed at some stage by all hunters, fisherman and outdoors man alike. 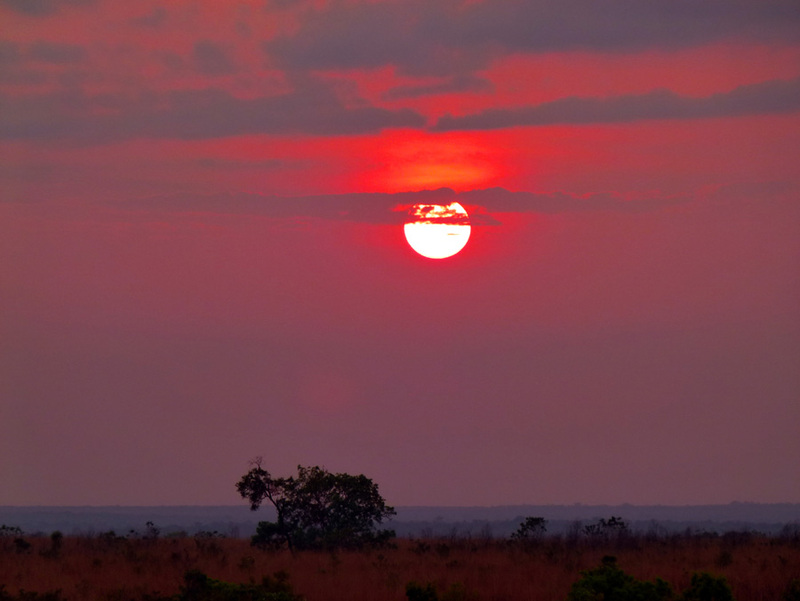 There is many a good sunrise and sunset that closes off an action packed day that you could never get sick of. 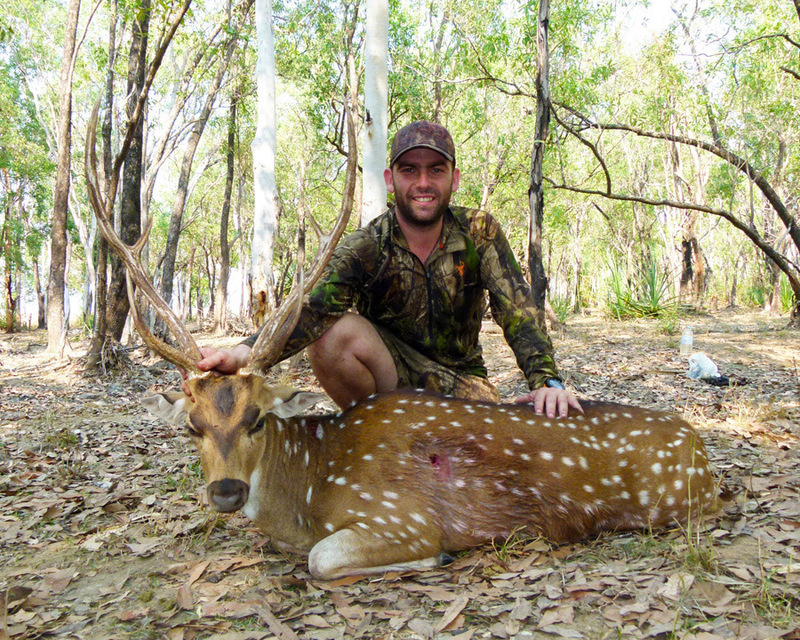 The chital deer hunting was a welcomed addition to this years hunt. 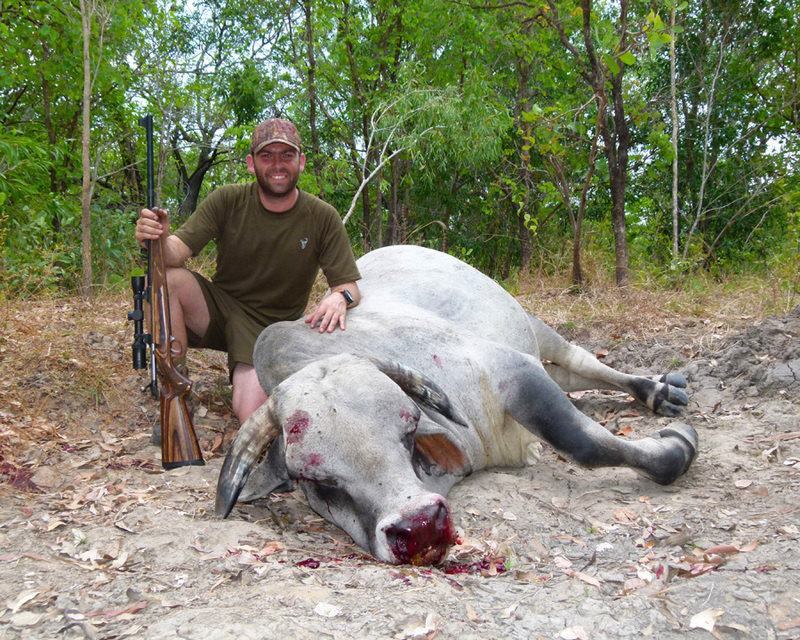 Unfortunately due to the timing of the trip a vast majority of the chital were still in soft velvet. However, after a lot of glassing and listening, 2 nice stags were taken after enjoyable hunts. We couldn’t have asked for any more on this trip. It was filled with unforgettable memories and good times.